Koh Samui is a fairly big island (at its widest point, it measures around 25km from side to side), making it important to choose a beach that matches your tastes to avoid having to travel around the island to enjoy your stay. 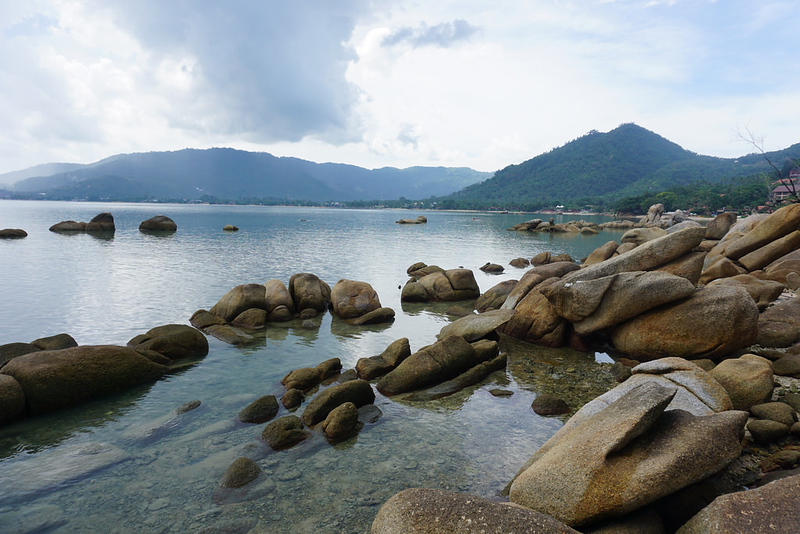 The beaches on Koh Samui range from heavily developed to almost perfectly quiet, with a good mix of options in between. Some beaches have a great selection of budget options, while others are more focused on high-end luxury accommodation. Below, we’ve listed the best places to stay on Koh Samui, with a quick description of each area and hotel recommendations for all price ranges. If you’re planning a trip to Koh Samui and don’t know where to stay, you’ll get a great feel for the island using our guide below. Koh Samui’s most popular beaches are on the east coast of the island, with Chaweng the most heavily developed and Lamai more relaxed and peaceful. If you want to be close to Koh Samui’s nightlife, you’ll have the best experience staying in Chaweng Beach. Bophut is a popular beach in the north of Koh Samui with a more laid back, chilled out vibe than Chaweng. The south and south west of Koh Samui are quieter and less developed than the eastern coast, with a selection of isolated luxury resorts, guesthouses and hotels. Aside from Nathon, the island’s main administrative centre, there isn’t much of interest on the western side of the island. Koh Samui’s most heavily developed and popular beach, Chaweng is home to a great selection of hotels and resorts. If you want to be close to Koh Samui’s best bars, restaurants and nightlife options, this is where you’ll want to stay. Despite its development, Chaweng remains a beautiful beach. The water is clean and the sand is white, with a variety of luxury and mid range resorts lining the beachfront. Although Chaweng is great for swimming, low visibility means this isn’t the best beach for snorkelling. Accommodation on and around Chaweng ranges from budget hotels and bungalows to several of Koh Samui’s most luxurious resorts. This is also where you’ll find Samui’s most diverse range of dining options, with a great selection of Thai and Western restaurants. All in all, Chaweng is a great place to stay if you want to be close to the action and don’t mind a relatively high level of development. Just don’t expect an “undiscovered” beach — at the peak of high season, Chaweng can get very crowded. The Centara Grand Beach Resort Samui is a large resort with beautiful grounds, a convenient location right beside the beach, nine dining options, a spa, large outdoor pool and a wide range of rooms and suites. Located right on the beach, this five star luxury resort has a beachside infinity pool, stylish and spacious rooms, beachside dining and all of the facilities you’d expect from a five star resort. OZO Chaweng Samui is an upmarket four star resort located directly on Chaweng Beach. With a selection of modern rooms and direct beach access, this hotel is a great option if you want to be right beside the beach. Located right beside Chaweng Beach, Chaweng Garden Beach Resort has modern rooms and bungalows, a beachside swimming pool and great dining options for guests. With a great location less than 150 metres from Chaweng Beach, Samui Green Hotel has clean, simple and comfortable rooms that are perfect for backpackers and budget travellers. As its name suggests, Chaweng Budget Hotel offers simple, affordable rooms that are ideal for backpackers and budget travellers seeking a clean, comfortable place to stay near the beach. Located south of Chaweng on Koh Samui’s east coast, Lamai Beach has a more laid back vibe than its larger, more developed neighbour to the north. 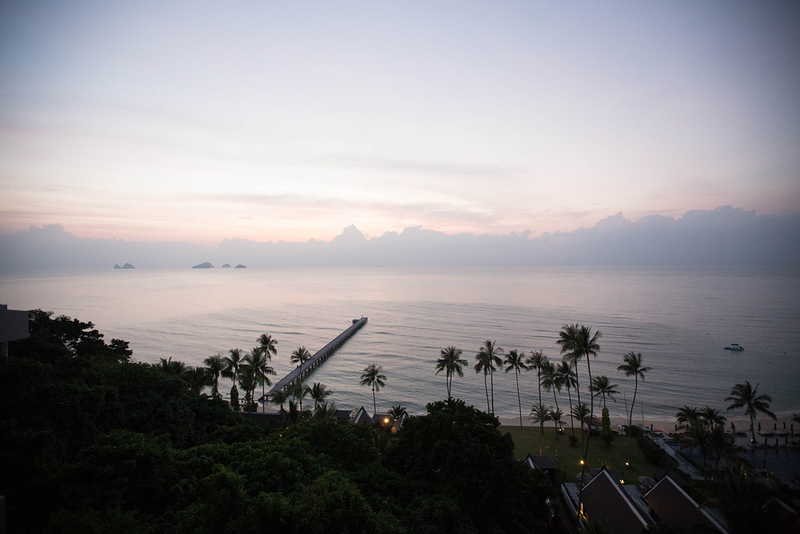 If you want to relax and enjoy the beach while still having modern conveniences nearby, Lamai is an ideal place to stay. Most of Lamai’s development can be found around the centre of the beach. 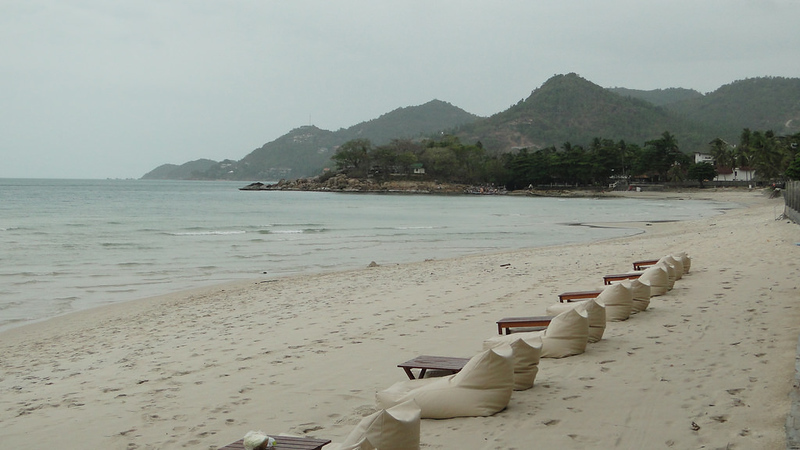 To the north, you’ll find several isolated luxury hotels on the quiet Thong Takian Beach. Further south, you’ll find a less heavily developed area with a variety of small eateries and guesthouses. 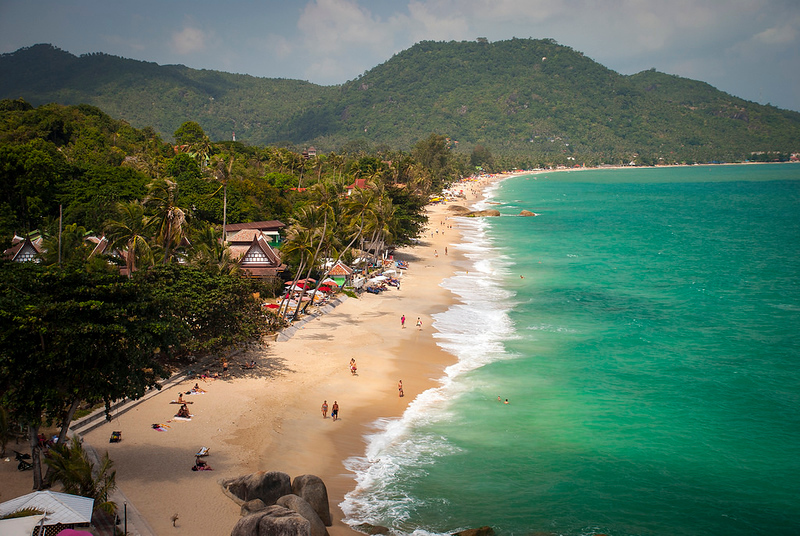 Like Chaweng, Lamai is a long, sandy beach that’s lined with beachside bars, restaurants and resorts. While Lamai offers some nightlife (especially around Lamai Night Plaza), it’s a quieter, more laid back area than Chaweng and ideal for people that want to take it easy. Lamai is also where you’ll find most of Koh Samui’s budget accommodation, making it a better option than Chaweng for backpackers and budget travellers. Located on quiet and peaceful Thong Takian Beach, the Renaissance Koh Samui Resort & Spa is a luxurious and relaxing hideaway that’s less than 10 minutes from Lamai. Another option on Thong Takian Beach, the Banyan Tree Samui offers a selection of luxurious villas with direct access to one of Samui’s most beautiful beaches. This four star resort on Lamai Beach has a large selection of rooms and private bungalows with views over the beach. Located right on Lamai Beach, Samui Beach Resort has a selection of spacious rooms offering beautiful beach views, all at very reasonable prices. Located a 15-minute walk from Lamai Beach, At Lamai Resort offers clean, spacious rooms at low prices. Motorcycles are available to rent from the hotel, making it easy to get to the beach. Less than five minutes from Lamai Beach, the Amarina Hotel has clean, spacious rooms and a small outdoor pool for guests, all with very reasonable pricing. Located in the north east of Koh Samui, Bophut is a chilled out beach village that offers a great mix of modern conveniences and relaxed atmosphere that made Koh Samui famous as a tourist destination. Bophut can be split into two areas. There’s the popular Fisherman’s Village, which is home to an exciting night market and a selection of bars, cafés and restaurants. 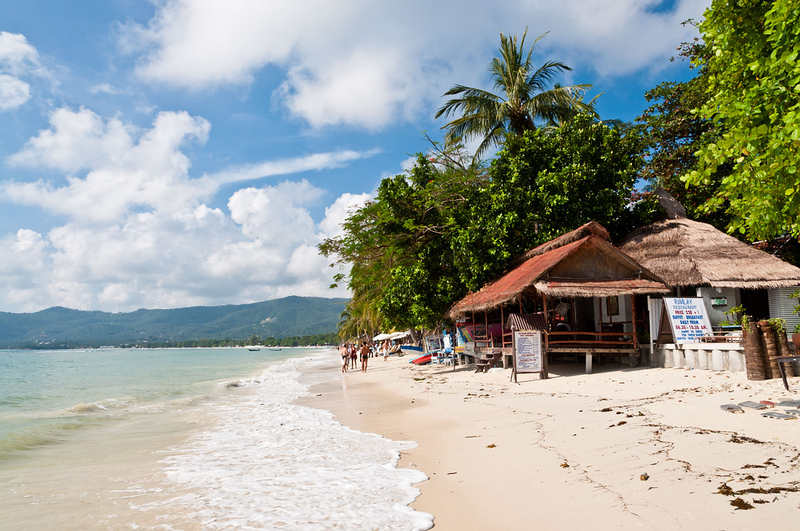 There’s also Bophut Beach, which offers white sand and great views over to Koh Phangan. Hotels and resorts in Bophut range from cheap and simple favourites like Smile House to some of Koh Samui’s most luxurious accommodation. Dining here is a mix of Thai and Western food, with a variety of good seafood restaurants overlooking the Gulf of Thailand. Overall, if you want a nice mix of old and new Koh Samui, Bophut is a good place to stay. Since there’s a great mix of budget, mid range and luxury accommodation available here, Bophut is a great choice for travellers with all budgets. One of Koh Samui’s most luxurious resorts, Hansar Samui offers modern luxury rooms right on the beach, with a stunning infinity pool and world class facilities. Set back from Bophut Beach on a small hill, Mantra Samui Resort features a variety of luxurious suites, a hillside infinity pool and other impressive facilities. Located close to Bophut Fisherman’s Village, Baan Bophut Beach Hotel has direct access to the beach and a selection of modern, comfortable rooms and suites with excellent sea views. Deva Samui Resort & Spa is an upmarket resort located on Big Buddha Beach, offering a quiet and relaxing atmosphere with free shuttle services to Choeng Mon and Chaweng. Smile House is a mid-sized resort a short walk from Bophut Beach with a large range of cheap and simple bungalows, two pools and large gardens. Conveniently located right on the beach in Bophut, Pelegrin Hotel Samui offers fan and air con rooms with comfortable beds and free WiFi. Quiet and secluded, Taling Ngam is a beautiful area in Koh Samui’s south west that’s home to some of the island’s most luxurious resorts. Largely undeveloped, Taling Ngam is also where you’ll find one of Samui’s best snorkelling beaches. Accommodation in Taling Ngam ranges from ultra-luxury options such as the InterContinental and Conrad to a variety of affordable resorts. As one of Samui’s least developed areas, this is the place to stay if you’re looking for peace and quiet. Taling Ngam is quite an isolated area, meaning you’ll need to embark on quite a long drive to get to any of Koh Samui’s other beaches. Still, if you’re looking for a secluded place to unwind with your partner or family, Taling Ngam’s peaceful atmosphere is very hard to beat. Peaceful, secluded and luxurious, the Conrad Koh Samui offers a variety of beachside villas and world class facilities a short walk from Taling Ngam Beach. The InterContinental is one of the Samui’s most luxurious resorts, with a variety of rooms, suites and villas located minutes from isolated and peaceful Taling Ngam Beach. Located right on Taling Ngam Beach, Am Samui Resort offers a selection of studios and beach cottages for guests, as well as beachfront dining. Phangka Paradise Resort is a quiet, isolated beach resort located on the south western tip of Koh Samui. With a selection of spacious villas, this three star resort is a great hideaway with direct access to one of Koh Samui’s quietest beaches. Located close to Taling Ngam beach, Villa Giacomelli is a cheap and simple beach resort that offers clean, comfortable and conveniently located rooms near one of Samui’s best beaches.